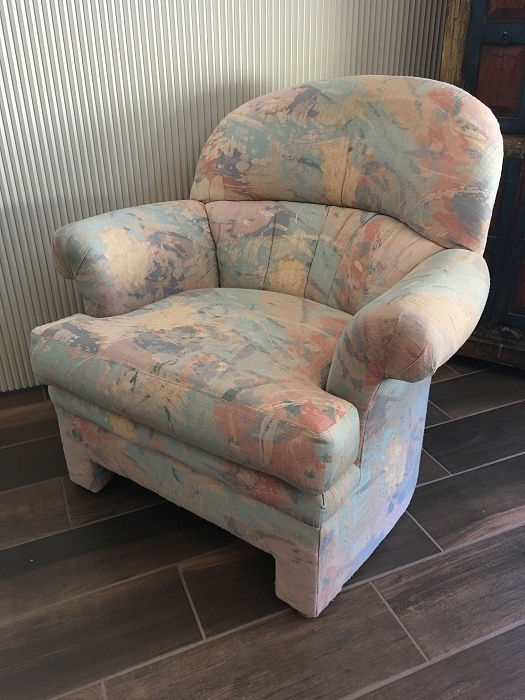 Highland House stuffed casual chair. 33" tall x 35" wide. Seat cushion dimensions: 20" wide x 22" deep. No wear, no stains. Looks new. Non-smoking household. More pics available upon request. $50. Contact Al at 9702175431.